The world of FinTech is moving quickly and Morey Creative is there every step of the way. No matter how sophisticated or advanced a new technology or service might be, attracting and retaining customers is vital to your success. Morey Creative is particularly attuned to the FinTech marketing space from digital lead generation, customer retention, programmatic buying and technology integrations. You have built the perfect platform. Your processes are tight. Your model is sound. You’ve built the better mousetrap. Taking the applied science of great financial technology solutions from theory to practice requires engaged customers. That’s where we come in. We’re not simply the top of the funnel. We are the funnel. Digital marketing is an art. Identifying customers for your platform and drawing them through the marketing funnel is where we excel. Over the past several years, our company has transitioned from the traditional publishing and advertising space. We had a hunch that our ability to generate high quality content with stunning design would bode well for us in the marketing and advertising industry going forward. Talent waiting for a movement. As fate would have it, the Inbound Marketing revolution was taking root and we were uniquely positioned to ride the wave. FinTech is changing every day. The Fintech world is rife with talent, disruptors and change agents as well. From Marketplace Lenders and Robo Advisors to Online Mortgage Origination and Digital Payment Processing Solutions, the Fintech industry is exploding with both possibilities and major success stories. It’s hardly a secret that players within the industry have a substantial appetite for growth. Here’s where our paths converge. 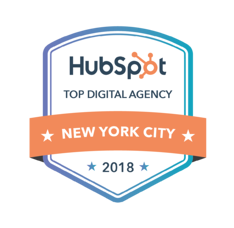 Morey Creative Studios is one of the fastest-growing Inbound Marketing agencies on the East Coast and (chest thump alert) gaining recognition as the leading Fintech Inbound Agency in the country. It’s an exciting time to be in the Inbound Marketing and Fintech worlds. Especially when they collide. One of the biggest pain points in the Fintech world is the Cost of Customer Acquisition (COCA.) Despite advances in online processing capabilities and a growing comfort among consumers and businesses to engage in online transactions, COCA remains frustratingly high for many companies. The reasons vary from intense competition and a need to generate awareness to expensive digital marketing campaigns that are needed to stoke the flames of a startup that lacks entrenched SEO authority. With the Growth-Driven Design Model, we constantly monitor and improve your online presence by employing the most comprehensive content creation and design services while maximizing your website’s visibility within search engines through optimization and the most effective inbound marketing strategies. 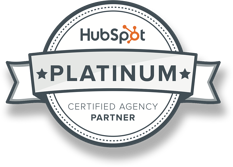 For clients with larger appetites for growth and a longer investment horizon, Morey Creative offers custom HubSpot Inbound Marketing services as well as integrations with SaaS platforms and 3rd party data sets. We often find a disconnect between a company’s technology and their marketing strategy. Some of the greatest Fintech companies in the country rely on traditional advertising channels to get the word out and attract customers to their product or service. Because Inbound Marketing is a relatively new concept in the agency world – despite being nearly a decade old – this comes as no surprise to us. The big agencies that represent some of these companies simply aren’t equipped to deliver an effective Inbound strategy to attract and convert leads into customers. Instead they sell glorified digital pages from the same old playbook and wind up charging their clients for expensive pay-per-click campaigns, broadcast media, print advertising and direct mail. While these avenues remain effective for some, they can bleed a marketing budget dry. This doesn’t mean we believe solely in digital marketing. Traditional marketing and the human touch both play an important role in delivering a company’s message, no matter how sophisticated the platform. Every client has access to Morey Creative’s stable of writers, designers and buyers. Digital lead generation is our core specialty, but it’s important to maintain consistency in brand development and collateral marketing. One of the most important deliverables is your forward facing web presence. A great site is more than a fancy calling card. It should crank like an engine, grab attention like a honey pot and satisfy customers like a warm cup of coffee at the end of a fantastic meal. We are constantly testing our environments to ensure great UX/UI. PowerUp Lending Group – Small Business Loan and Business Loan Refinancing, fast and easy. See how much you qualify for. 4Thought aims to redefine the investment process. We leverage technology-driven quantitative analysis and traditional client service to help our clients. Mayava Capital is the business community’s link to the direct lending world. Get secure, trusted funds for your business. As the premier Long Island Mortgage Company, Contour Mortgage is uniquely qualified to find the right loan program to suit your needs. Kella Financial Partners is an independent financial marketing firm that enhances the value financial professionals and institutions. F&B Financing provides hospitality small business loans to small business in the food and beverage industry. RxFinancing provides objective and transparent independent pharmacy financing and practice management resources for today’s independent pharmacy. TechLending provides high tech and IT small business loans to small businesses in the technology industry. Health & Beauty Funding provides beauty small business loans to small businesses in the health and beauty industries.